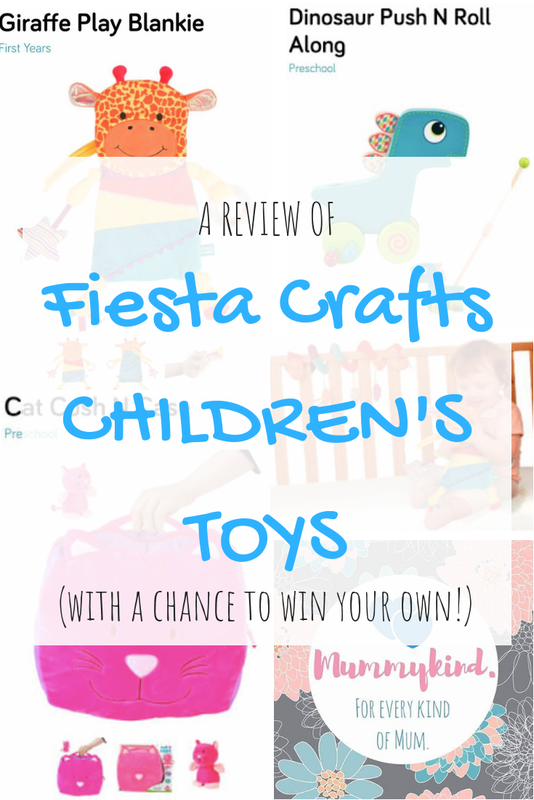 Fiesta Crafts create traditional toys with fun contemporary twists! They design and manufacturer toys that help children to develop their creative, imaginative, communication and language skills. Here are some of Mummykind’s tried and tested favourites! For walking, for crawling – a perfect developmental toy. The dinosaur push n roll along is beautifully colourful, sturdy and fantastically crafted. The Push N Roll Along toys are designed to be the perfect play toy for small children- supporting and encouraging them as they develop from sitting to crawling to walking. It comes with a detachable wooden rod that inserts easily into the back of the toy. The Push N Roll toy can be rolled (sitting or crawling) or pushed (walking) via the wooden rod with an easy-to-grip handle. This 2-in-1 toy with its moving parts will keep little ones greatly entertained. The bright colours and attention to detail are sure to make this toy a much-loved addition to any toy collection while helping younger children to improve fine and gross motor skills as well as becoming familiar with new sounds, shapes and animals. Also available as a giraffe, pink elephant, police car and fire engine. Suggested for 18 months plus. Wobbly Garden from Fiesta Crafts is a bright and enchanting set of 18 hand-painted colourful garden creature pieces and wooden garden wobbly board. Children carefully place pieces onto the board without tipping over. But watch out! Don’t be the one who makes the board tip and make all the pieces fall. Wobbly Garden can be used as a fun children’s game for 1-4 players or individually for a fun way to enhance fine motor skills. Box contains 18 colourful chunky wooden pieces and a big garden balancing board piece. The aim of the game is to balance pieces on board before they all fall off!The wooden pieces include butterflies, ladybirds, flowers and hilarious goggle-eyed frogs. The game has been designed to help improve children’s fine motor skills and increase general physical awareness of balance. Suitable from 2 Years. 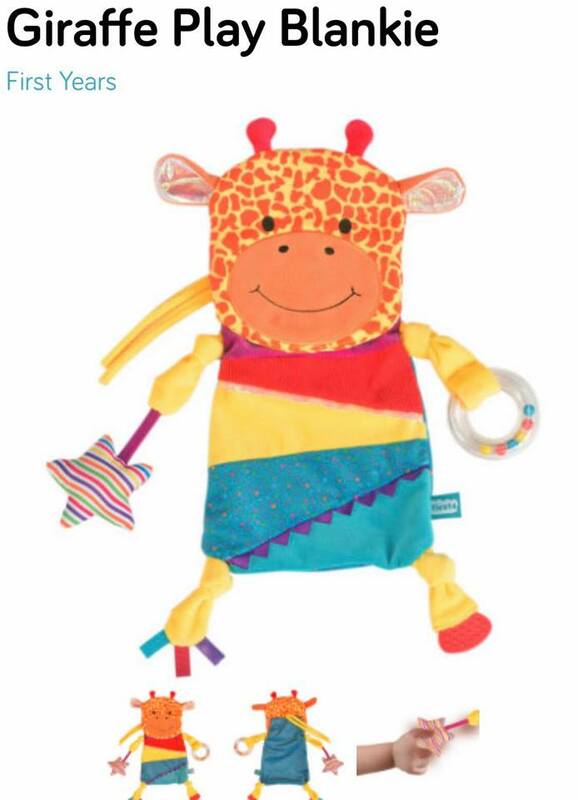 The Giraffe Play Blankie is an adorable, exciting and interactive combination of a teething toy, a comfort blanket and activity toy all in one – perfect for keeping little ones entertained.These gorgeous Play Blankies have soft, friendly faces and bodies, and four entertaining and engaging activity paws. They are visually appealing with their brightly decorated fabrics and entertaining with different textures to feel and squeeze. Each paw has something for the baby to interact with – one of the paws has a teether/chew piece, perfect for teething babies and sore gums. Another of the paws has a jingly rattle, a third with colourful fabric tags, and the fourth has a push to squeak stripy star. The Giraffe Play Blankie appeals to multiple senses, it is the perfect cuddling comforter, and even has two cords so that it can be tied on to a cot or buggy and provide comfort and entertainment wherever you go! Also available as an elephant. Suitable from birth onwards. This beautifully crafted musical box is the perfect addition to any nursery. Nothing soothes our babies more than music. This hand made rotating music box plays Brahms lullaby, lasting approximately four minutes each cycle. The bright coloured wooden animals make it a cute but stylish accessory for a child’s room too. Recommended for handling from ages 3 and up. These amazing Cush N Case toys is soft, loveable and extremely practical! It’s a cosy kitty cushion that doubles up as a travel case. Perfect for using as a height boost at the cinema or at the dinner table, sleeping on or taking on adventures inside and outside the home. Fabulous for travel, with zipped storage for those little bits and bobs like lolly sticks and pencils that our cheeky children simply ‘must’ take with them. Our babies can also cuddle up to the very comfy Cush N Case and sleep on it during those long car and plane journeys. Featuring adorable little ears and beautifully sewn whiskers, noses and eyes. 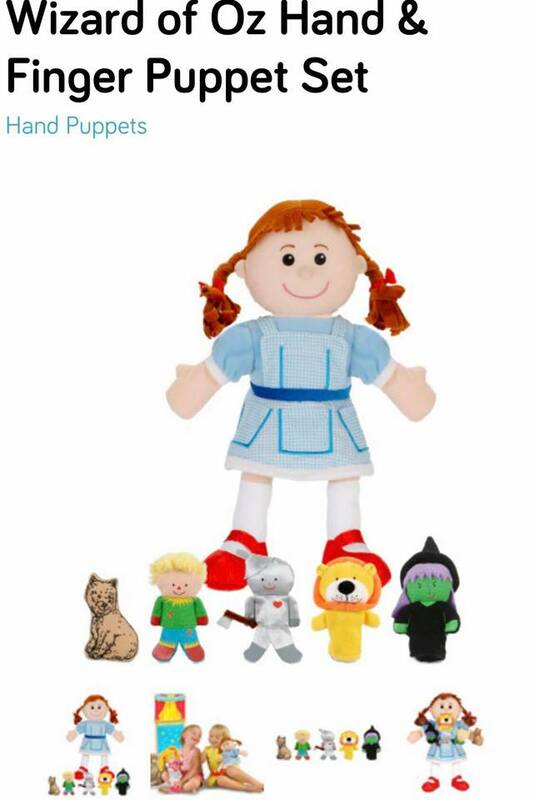 They come complete with a matching character soft toy so that children have a new friend to match their cushion and play with on their travels. The Cush N Case is genius, handy, practical and also transforms into a fun toy that can be accessed on the go, wherever your little ones are! Also available as a tiger. Suitable from 12 months plus. This is our favourite! The fabulous hand and finger puppet sets come with a soft and cuddly main character hand puppet and multiple other story characters as finger puppets! All of the little finger puppets attach to the hand puppet for tidy storage. Ideal for re-enacting their favourite stories and creating their own! I honestly feel that these are the perfect toys for encouraging imaginative play and enhancing social skills! Playing with these fun puppets is a fabulous way to entertain children and their families as well as furthering the development of children’s creativity and imagination. Also available as Matilda, Charlie and the Chocolate Factory, James and the Giant Peach, The BFG®, Puss in Boots, The Jungle Book, The Little Mermaid, Snow White and the Seven Dwarfs, The Big Bad Wolf, Red Riding Hood, Goldilocks, Jack and the Beanstalk, Nursery Rhymes, The Gingerbread Man, Cinderella and The Frog Prince. Suitable from 3 years plus. If you loved these as much as we do stay tuned for a Fiesta Crafts give away, with the chance for two of you to win one of these fantastic items – Just in time for Christmas! Next Post ENDED: Perfect Puppets Giveaway – just in time for Christmas!